Vinchi is your online vintage clothing store with a wide selection of vintage dresses, vintage tops, accessories and apparel by a team of fashion stylist in london. You will find a great selection of clothes from the 1920s to 1980s Era. We source the best products and offer to our customers at a discount of over 40% off their current market value. 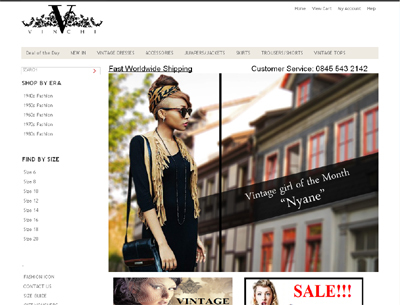 Vinchi is the best place to find original vintage items at affordable prices.